The Denver-based startup designed an AI system that lets doctors capture their conversations with patients and transfer those notes to EHRs. Yesterday Sopris Health, an artificial intelligence company designed to help with medical documentation, scored $3.4 million in a recent funding round. This time the Denver-based startup was funded by Access Venture Partners, Cue Capital, Tallwave Capital, Cedars-Sinai Accelerator, Techstars and Rockies Venture Fund. The financing comes in the form of new cash and conversion of promissory notes. 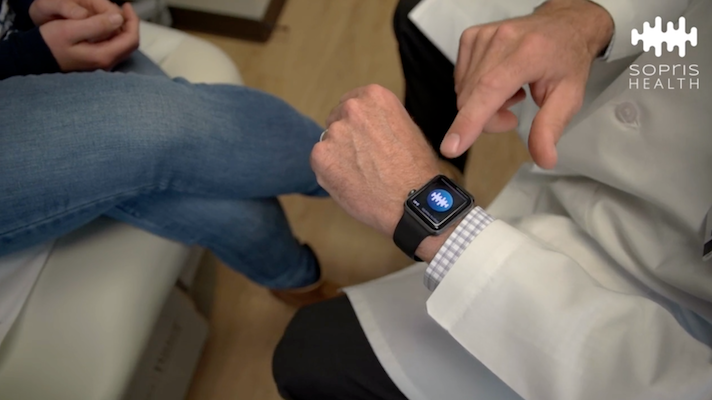 The Sopris system includes a smartphone platform and smart watch app. It alsoworks as an artificial intelligence medical scribe app. When prompted the system has the ability to capture the physician’s conversation with a patient, according to the company, and can then automatically generate structured SOAP notes for the physician to review. The technology helps clinicians with EHR documentation and other paperwork required in their practices. Clinical documentation and EHRs has been a long-standing complaint among physicians. A recent finding from the University of California's Riverside School of Medicine, for instance, listed EHRs as one of the biggest contributors to physician burnout. The report cited other EHR-related hurdles including HIPAA-restricted access to outside records, time at home finishing EHR records and unreadable cloned patient notes as additional factors. Perhaps due to the increase in physician burnout, more and more companies are kicking off their own voice-powered doctors assistants. In early September Notable, a voice-powered artificial intelligence wearable for doctors, picked up $13.5 million. Similar to Sopris, the technology can capture information from a doctors visit and then recommend appropriate actions and integrate with EHRS. In May Robin Healthcare, another voice-enabled AI device designed to help doctors and clinicians write clinical notes, emerged from stealth mode. Additionally, voice-enabled doctor assistant Suki raised $20 million in the spring.